Online trading for private investors has been available since the 1990s, and saw a huge explosion in growth during the 2000s. From the outset, this activity has been based on a model where investors make near-instantaneous trades online based on their own research and judgement. However, in recent years, the concept of social trading has emerged to challenge this orthodoxy. Although there are many different types of implementation, social trading basically involves being able to see what other traders are doing, so that you can learn from them and/or copy their trades. This makes trading much more accessible – and potentially lucrative – to those that have yet to acquire the necessary expertise to make trades based on their own judgements alone. It is also attractive to experienced traders, who can make an extra revenue stream from selling subscriptions or charging commissions to people who copy their trades on social trading networks. One of the leading lights in this fast-emerging arena is a company called eToro – with the name being, appropriately enough, a reference to the Spanish word for ‘Bull’. The Cyprus-headquartered company, which was founded in 2007, was one of the first companies to see the potential of integrating online trading with a social media approach. It is now the largest investment network in the world, with more than 2.5 million registered users in over 190 countries. The center piece of eToro’s offering is a social investing platform called OpenBook. When you make a trade, it is instantly visible to everyone in your network. This means that traders can copy each others moves, and this can be done manually or automatically using the CopyTrader function. Using this feature, the network can be treated much as if it were a fund, but with full disclosure in real time and the option to change the investment team in an instant. This setup is ideal for traders that lack the experience or the expertise to be able to make trades based on their own research and judgements, providing a more accessible route into trading for many. The platform is also very attractive to experienced, successful traders because it can provide them with an additional income from traders paying to copy their trades via eToro’s Guru Program. eToro is a relatively young company, having been founded in 2007 with $1.7m of Series A funding. Their first trading platform, which was initially only available as a download for desktop computers, took a radically different approach to other trading platforms at the time. It presented online forex trading as a series of games, such as a race between currencies, or a tug of war. The intention behind this was to make forex trading more easy to grasp for novice traders. Later, an Expert Mode was introduced to provide more conventional trading tools, and a browser-based version called WebTrader was launched. 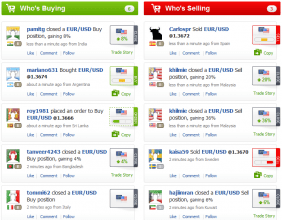 The OpenBook social trading platform was launched in 2010, and became a near-instant success, leading to a radical acceleration of eToro’s operations. Within a year, the amount of money they raised from VC funding almost quadrupled from $2.4m to $8.3m. In 2011, the firm launched smartphone apps for its platform offerings, added the CopyTrader function to OpenBook, and launched Copy.Me websites, which enabled Guru traders to build their own investment business. The following year, a Chinese version of OpenBook was launched, and the Guru Finder feature was introduced, which made it much easier for traders to find the most successful traders to follow. 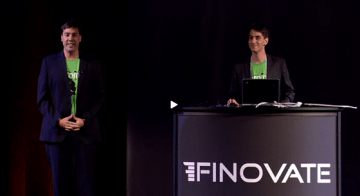 Earlier this year, eToro’s innovations were officially recognised in the form of a spot on the 2013 FinTech 50 Watchlist. This is a shortlist put together by industry leaders in finance and technology sector consisting of the companies with the most potential to succeed in the fast-moving FinTech (Financial Technology) sector. With the biggest user base of any social trading network, UK regulatory approval, and the funds in place for a massive expansion of their operations, it would seem as though eToro is a company that has every reason to be bullish about its future prospects. Thanks Paul, this is a great article reviewing eToro progress over the years. Dear Yoni, A big honor your words! we are working to make ForexThink a thought leader innovator forex trading and value creation capital markets platform. eToro is an innovator and we will take more attention to it. All best for you and eToro team! Thanks Yoni, I’m glad you liked the article, and it’s an honour to receive praise from such an innovative and forward-looking company – I predict the bull trend will continue!